In our University of California bargaining units -- technical employees (TX), researchers (RX,) and health care professionals (HX) – UPTE-CWA won the right to bargain for supplemental retiree health benefits. Bargaining surveys on these benefits have been distributed to union zone contacts across the state (if you haven’t received yours yet, contact your local UPTE office). Retiree health benefits cost more than most of us expect. For those under 65, the monthly premiums will soon exceed $300 for couples. For anyone, just the co-pays can add up to hundreds of dollars a month. These costs can easily erode 33 to 50 percent of a typical UC pension. But by planning ahead, these costs can become affordable. If a fund similar to our pension fund were established that accrued investment income, small contributions now could largely offset future health care costs, when we can least afford them. UC has setup such a fund call the Retiree Health Benefit Trust Fund. The problem is UC has not put any money into it except to pay the ongoing costs of those who are already retired. If modest contributions were made to the fund by both UC employees and the university, the benefits could become an entitlement -- that is, they would become guaranteed. The current inadequate benefits program could potentially be eliminated. All members are encouraged to complete UPTE’s bargaining survey. Non-members may also fill out a survey along with a union membership application. (2) Remember the Master Plan for Higher Education? In 1960, California legislators joined with education leaders to develop and implement a visionary plan for higher education in California. This plan saw education as the economic engine of the state, opening educational and economic opportunities to Californians who had been previously excluded. The Master Plan laid out a system where the state’s top 12.5% of high school graduates would be accepted to UC, the top 33% accepted to the California State University, and anyone could go to the state’s community colleges at no cost. Back then, student fees were nearly zero and the state contributed more than 20% of UC’s budget. Today, the state only contributes 7% of UC’s budget while fees, books and housing add up to $30,000/year. Students who qualify for loans graduate with overwhelming debt. Many never come to UC, or drop out because of the immense financial burden. UPTE is working with other unions, student groups, faculty, and anyone else interested in re-kindling this vision. Our future looks so much brighter when we have affordable, accessible education of the highest quality. 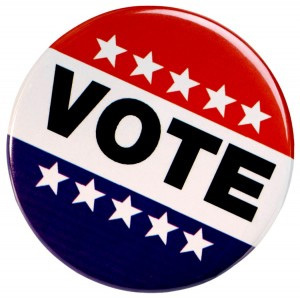 In the upcoming November election, UPTE urges you to vote and to pay particular attention to two ballot initiatives and several legislative races key to our community college members. For more information about why we recommend these candidates and initiatives, please go to our election website. For voting recommendations on all other races, please review the California Federation of Labor website. While UPTE members live all over the state, we focus on races for candidates on key committees that review policy and budgets of the University of California, the community colleges and Los Alamos and Livermore National Labs. Here are our priority recommendations. All technical employees and researchers (TX/RX unit) received an additional raise today of 3% as part of UPTE’s recent historic contract settlement, an agreement that also preserved pensions on a single tier. There will be no additional deductions for the pension through 2017. Today’s raise includes limited appointment, per-diem topped out and part-time employees. You should see this in your paycheck around November 1, 2014.